Turkey says it expects international organizations to push for the Syrian regime to be held accountable for the repeated use of chemical weapons against its own people. 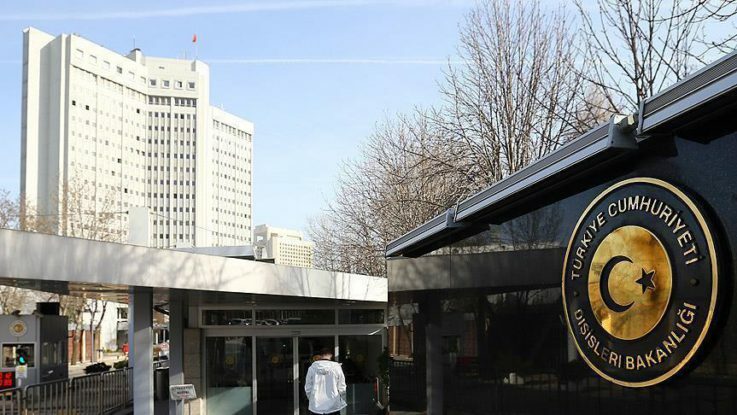 In a statement published Saturday, the Turkish Foreign Ministry said it expects the UN and the Organization for the Prohibition of Chemical Weapons (OPCW) to continue monitoring and reporting “shortcomings and inconsistencies” in the Syrian state’s chemical weapons declarations. The statement added that Turkey expects institutions to take the necessary steps toward holding the regime accountable for “jauntily performing chemical weapons attacks”. Turkey said it had been found with certainty that the Syrian regime “failed to fulfill its obligations” following a sarin gas attack carried out in the capital’s Ghouta district in 2013. “The use of chemical weapons is both a crime against humanity and a war crime,” the ministry said. A report published this week by the OPCW and the UN confirmed the Syrian regime was responsible for the repeated use of chemical weapons, as was the Daesh terror group. The Turkish Foreign Ministry also said efforts against Daesh would continue “with the same determination”. Earlier this week, the United States Mission to the United Nations said “an independent team of international experts” had confirmed a “pattern of use of chemical weapons by the Syrian regime”. The U.S. mission also called on the international community to act and “hold accountable those who act in defiance of such fundamental international norms”.